Made to the same set of recipes since 1821, Dolin Vermouth de Chambéry has long been the benchmark for fine Vermouth. In the late 19th century, Dolin Vermouth de Chambéry won medals in Paris London, St. Louis and Philadelphia and in 1932 earned Chambéry France's only Appellation d' Origine for Vermouth. 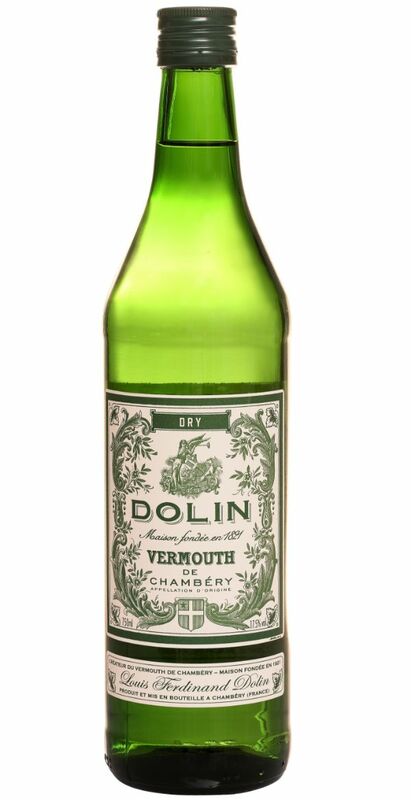 Dolin Vermouth de Chambéry is made of fine wines and botanicals found in the Alpine meadows above Chambéry. Together they impart a fresh and elegant nose, with a subtle and complex palate. Ideal as an aperitif or in cocktails. Tasting notes: Dolin Vermouths are notably lighter, drier and less pungent than their larger commercial counterparts. The particular mixture of plants found near Chambéry give a fresh, restrained and elegant nose, with a subtle, complex bittersweet palate. Even the Blanc and Rouge retain great balance, with the sugar never cloying, and just enough bitterness to whet the appetite. Each can be enjoyed as aperitif on ice, with a twist of citrus, or in a broad array of traditional cocktails. Production: Vermouth is a fortified, aromatized wine; the ingredients are wine, herbs and plants, grape spirit and sugar. Dolin begins with a purchase of base wine, always white, light in alcohol (10% by volume), and as neutral as possible, both on the nose and palate. To this is added a selection of herbs and plants, which are left to macerate several months. The exact recipes are a closely guarded secret, but there are up to 54 different plants used, most notably wormwood, but also hyssop, chamomile, genepi, chincona bark and rose petals. The aromatized wine is then lightly sugared, to less than 30 g/l for the dry and 130 g/l for the blanc and rouge. The color of the rouge does not come from a red base wine, which is unsuitable for elegant vermouth, and instead comes from the particular plants used, and from sweetening with dark, caramelized sugar. Finally, the vermouths are fortified - up to 16% for the sweeter styles, and 17.5% for the dry.